No, this isn’t about a Marx Brothers movie, even if Dr. Hugo Hackenbush is one of my heroes. Son-in-law Brad is a fan of the races, and so, apparently, is Gail. 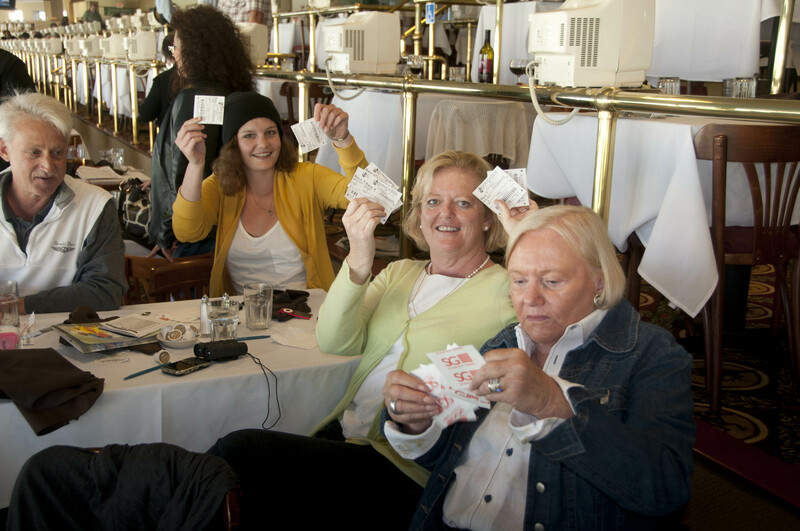 So we decided to spend a day at Golden Gate Fields, you know we all love to earn money betting. Brad and Kate. We like them. At first, Brad liked the idea of dollar day–dollar entry, dollar hot dogs, dollar beers. Gail, as is her wont, disabused him of that silly plebeian notion and impressed upon him the wisdom of the turf club and valet parking. So there we were, sitting high above the track on a semi-cloudy day, enjoying the view, the food, the service and the horses. This is the way the serious horse players do it. Gail had a racing form, the program, and a tout sheet. Long ago she was a habitué of Caliente in Tijuana–horse races in the day time, dog races at night, so she can read all that horsey stuff and pick the winners. Well, sometimes pick the winners. 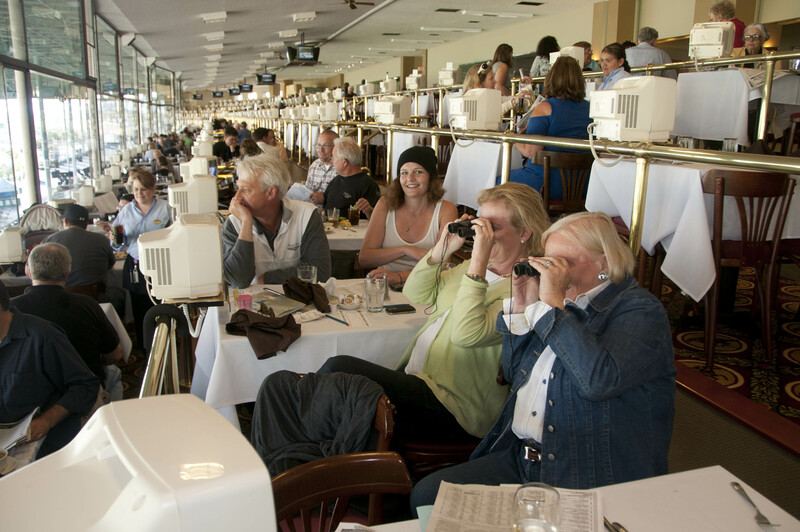 Gail and Brad had a great time studying the forms and “wheeling” their bets, and she only lost $10 for the day. Grand-daughter Demi used her boyfriend’s technique–ignore all that, and pick the horse with the coolest name. Needless to say, she was the big winner for the day. Many tickets, a few winners. I don’t really understand the concept of the races–you can’t figure out what an animal will do, and if you really want to gamble you could win or lose a fortune with the Best Online Gambling Sites. All day to make 9 bets? I can do that in 8 minutes at the craps table. Of course, some people manage to put their kids through college betting on the ponies, but you have to devote your life to it. I’ll stick with the old admonition: Horse players die broke. Nonetheless, we had a great time. 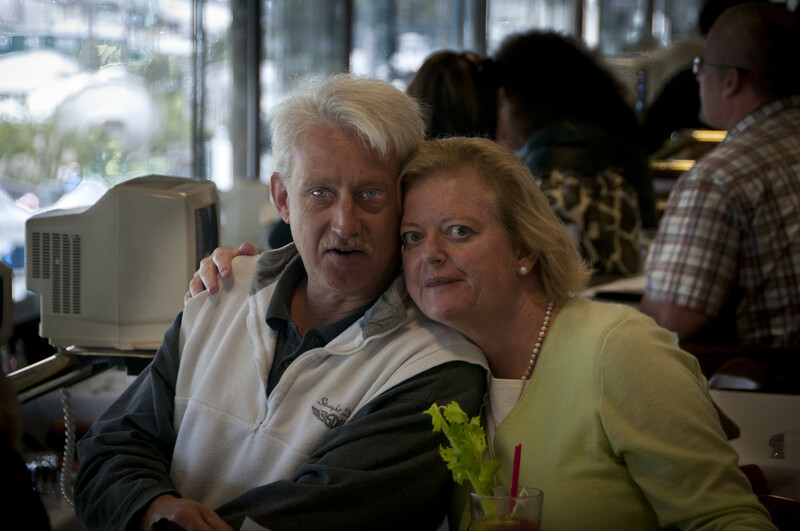 The food was good, The company was perfect, the view was great, the horses were fun to look at. I’m sure we’ll go again. Maybe next time I can get a “free” hat that only costs $50. I drove by the Churchill Downs. It’s right next to the University of Louisville so I imagine plenty of statistics majors have lost their college savings there.